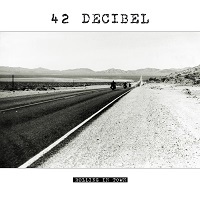 Hey there Metal Pilgrims, this is my second review and this is 42 DECIBEL. At first when I heard the album, I was 100% that this was an American band but was surprised that they were from Buenos Aires in Argentina! The album sounds so southern rock that I never noticed any accent in Junior Figueroa’s nasal voice! The mark of a great band, you never know where they may come from. I was expecting a very Hard Rock album but this was more a Southern Rock Anthem Album. Junior Figueroa’s voice is very reminiscent of Bon Scott but with a small ode to singers like Barry Hay from GOLDEN EARRING or Danny Joe Brown from MOLL HATCHET. Very groovy singing but with alot of emotion especially on ‘’Midnight Teaser (Evil Woman)’’ and shows his range of voice in the epic ‘’Cold Steel Rider’’. He sounds like he’s having the time of his life and talking about women, alcohol and the evils of both of those vices. Most songs are pretty steadfast Southern Rock and very catchy especially the rocking ‘’Down the Hatch’’. No song really stands by its own and it’s quite the progression throughout the listening process. Every song has its hold on you and you can’t keep from tapping your feet to the old school Bon Scott-esque goodness of 42 DECIBEL. One song that was quite the departure of the rest was ‘’Smooth Talker’’, a very blues oriented song that makes me think of "Ride On" by AC/DC in the 70’s. It’s a great way to finish the album but a very odd way to finish to be perfectly honest. If you like AIRBORNE, AC/DC (Bon Scott Era) or RIVAL SONS, you are sure to love this album from the Argentina boys!